The day I had the idea for DoorBot, I was in my garage workshop and missed an important package because I couldn't hear the doorbell. During my frustration of missing yet another package, I looked down at my phone and thought: This is where my door should be answered. 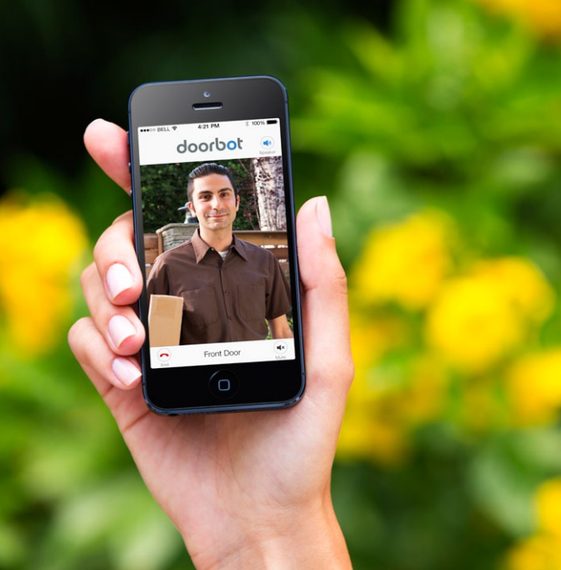 With that, the first video doorbell for the smartphone was born, now called DoorBot. That night, I brought the idea up to the boss (my wife), and unlike most of my ideas, she immediately loved it. Not only did DoorBot reinvent the doorbell, a product that hadn't been innovated in centuries, but it would also bring her peace of mind when I'm away on business. Now, she'd be able to answer the door from a safe and comfortable place in our home. She said, "It will be like we have a gate on the house." I went to work right away with my team at Edison Junior, our design laboratory specializing in the design and development of technology products. Over many cups of coffee and sleepless nights, we were able to build DoorBot from concept to commercial product in less then one year. 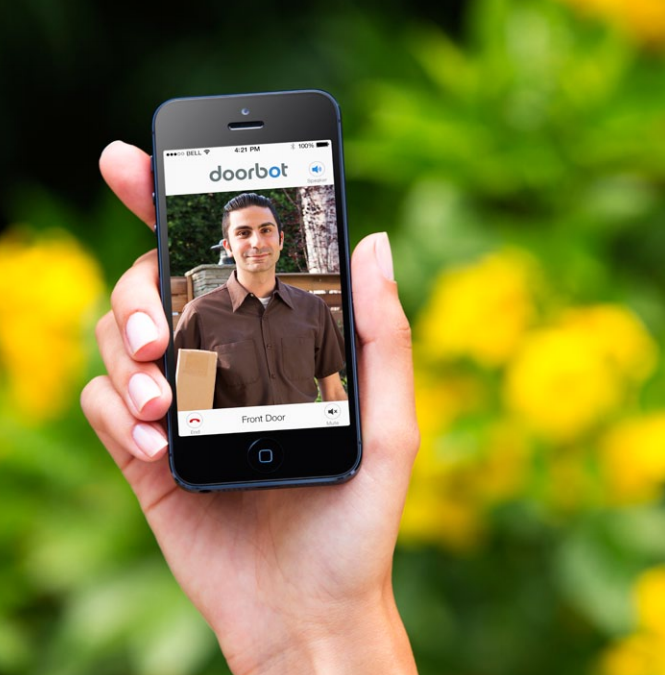 DoorBot has the power to bring peace of mind and convenience to millions of homeowners around the world, and that's exciting to us. We initially crowd-funded the product on Christie Street, where we quickly reached our $250,000 funding goal. With the immediate success and the excitement around the product, we doubled down on development and functionality. The end result was a smaller product than originally unveiled with many more features packed into it. We then decided to take our product to the Shopify platform, where we have seen incredible success, surpassing $1 million in sales. Shopify has given us the flexibility to do whatever we want on the ecommerce side without the heavy lifting. With the help of the Build A Business competition, we hope to continue to make the connected home more accessible to consumers through the DoorBot smart doorbell. This process has reinforced the notion that you can do anything if you are willing to work hard for it and surround yourself with a great team. Even with all of the challenges, we can't imagine doing anything else. Invention is just in our blood! While obtaining a Bachelor of Science in Entrepreneurship from Babson College, Jamie Siminoff founded Your First Step International, Inc., a company that assisted entrepreneurs in bringing ideas from concept to fruition. In 2000, the company pivoted to building and operating global wholesale Voice over IP networks in developing countries. In 2005 -- perplexed by the archaic nature of voicemail -- Jamie founded the world's first voicemail-to-text company, PhoneTag. In September of 2009 PhoneTag sold to Ditech Networks. 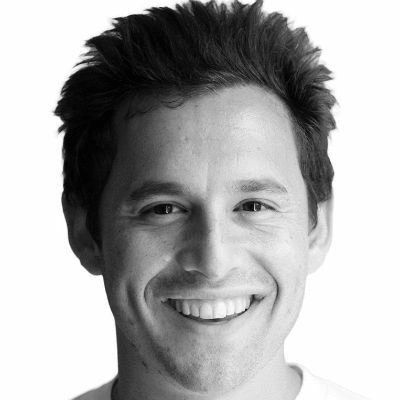 In 2010 Jamie took on email and founded Unsubscribe.com to help email users clean commercial email from their inboxes. In 2011 Unsubscribe.com was sold to personal security company, TrustedID. When he's not working on improving DoorBot, he enjoys spending time with his wife, four-year-old son, and dog -- Short Rib.